Here is the abstract for our joint presentation at IATEFL 2015 in Manchester. 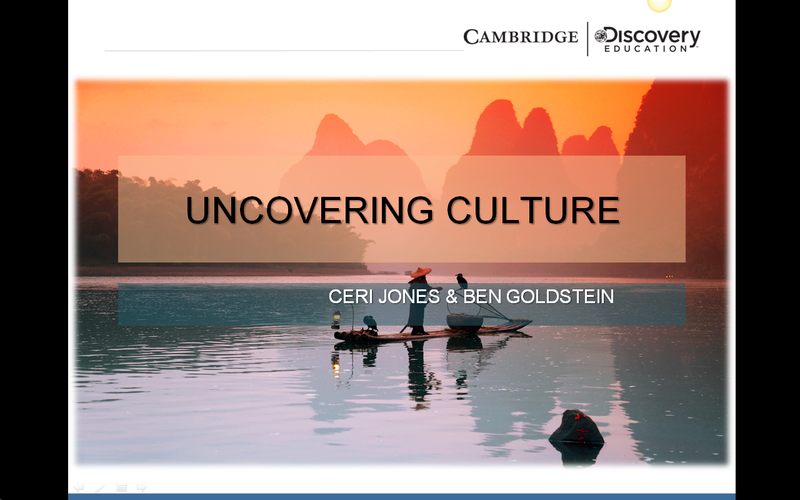 This workshop explores a ‘glocal approach’ to culture in the classroom, viewing cultural topics through our students’ local lens. We will reflect on transcultural phenomena and ways to embrace cultural diversity, questioning the essentialist notion of a single “target” culture and its aspirational values. Practical classroom tasks from Eyes Open, the new Cambridge Discovery EducationTMsecondary course will be shown. Here is a link to a slightly abridged slideshow. The videos have not been embedded, but if you follow the links you’ll be able to view some of them at source. I’m afraid we can’t share the Dabbawalla video here, but you can visit the Eyes Open website to see other examples of Discovery Education videos that have been adapted for the course. Thank you very much to everyone who came and took part!